All items* carry a 30-day money-back guarantee. If within that time, the purchase is returned to us in a resalable condition we will refund your purchase price right away. We will send you another with our apologies at no cost to you! (3) In the event you ordered a custom product we will accept it as a return only if it has a material defect. If it does, we will replace the item. It is that simple...we want you to receive the best product available and be happy with your purchase. 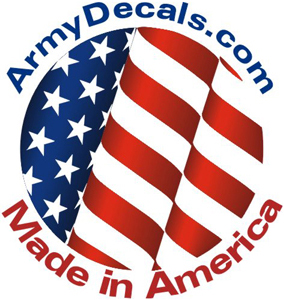 ArmyDecals.com guarantees it! Many people told us that they didn't like the "shipping and handling charge" surprise that they were assessed when they checked out of other sites, we strive to be reasonable and competitive in our shipping cost. 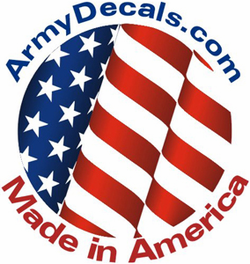 ArmyDecals.com reserves the right to refuse service to any individual or company for any reason.